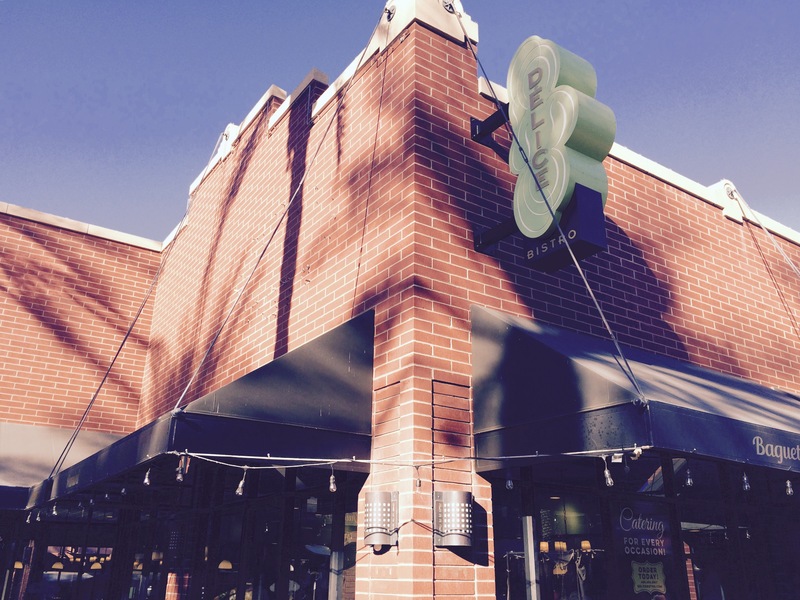 The first time I visited Délice Bistro was on a walking food tour of Tempe. 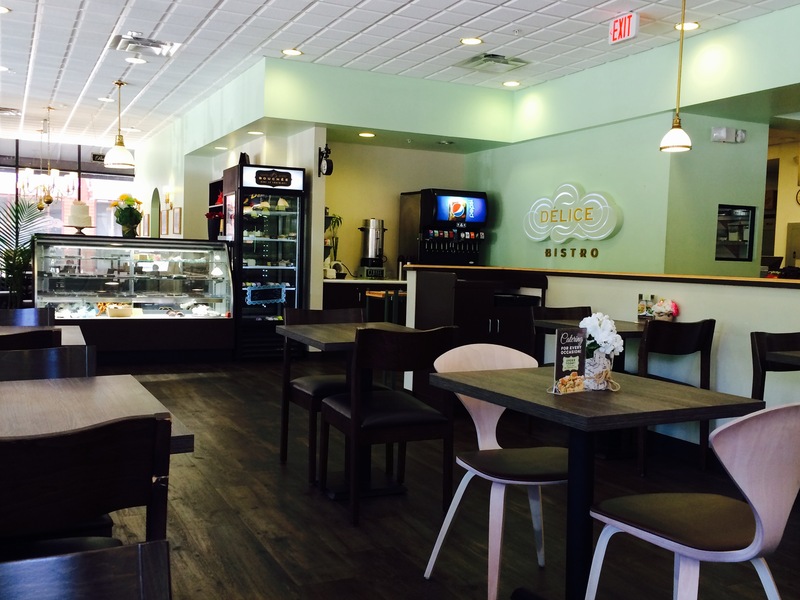 It’s a European-style pâtisserie (a type of French or Belgian bakery that specializes in pastries and sweets) that makes their pastries and entrees from scratch. They are located off historic Tempe’s Mill Ave near ASU campus. In addition to their wonderful parties, they serve European sandwiches, soups and salads (made fresh daily). 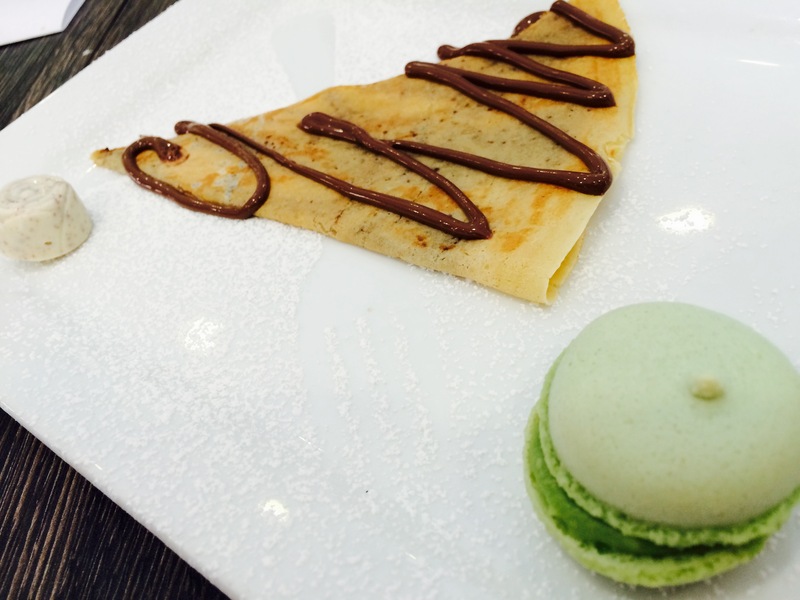 When I came here last, I had a nutella crêpe with some coffee. They also have a variety of breakfast entrees that include omelets, croissant french toasts and eggs benedicts. But you can’t come here without trying one of their delightful desserts or hand-dipped Bouchée chocolates. 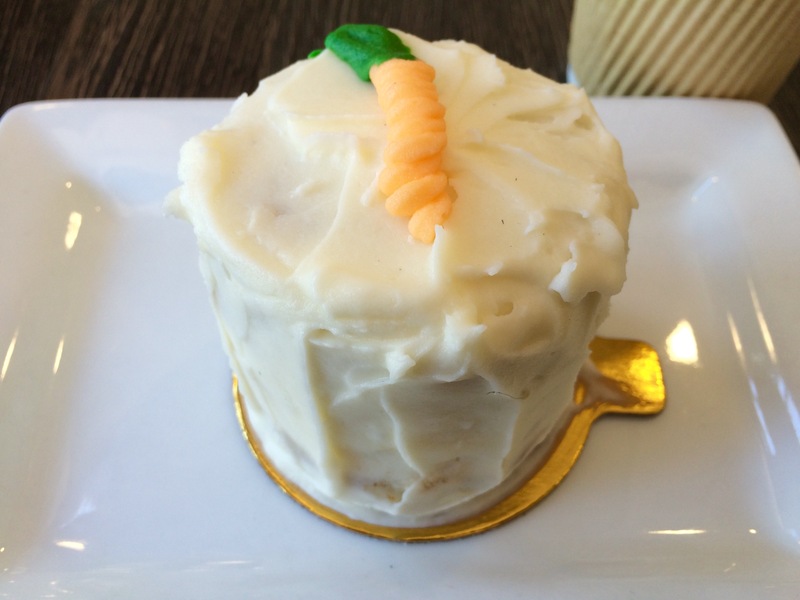 Today I had a carrot cake with some coffee from Peixoto. It was delicious and made for a nice late afternoon snack. Line a 9-inch square baking dish with a 14-inch-long piece of foil or parchment paper and grease the foil. In a medium bowl, mix the graham cracker crumbs with the melted butter and 2 tablespoons sugar. Press the crumb mixture into the bottom of the baking dish. Freeze for 10 minutes. Meanwhile, using an electric mixer, beat the cream cheese, 1/3 cup sugar, the orange juice and vanilla at medium speed until smooth, 2 to 3 minutes. Add the heavy cream and mix at low speed until blended, then beat at medium-high speed until thick and fluffy, 1 to 2 minutes. Spoon the cream cheese mixture on top of the crumbs. Refrigerate for 1 hour. 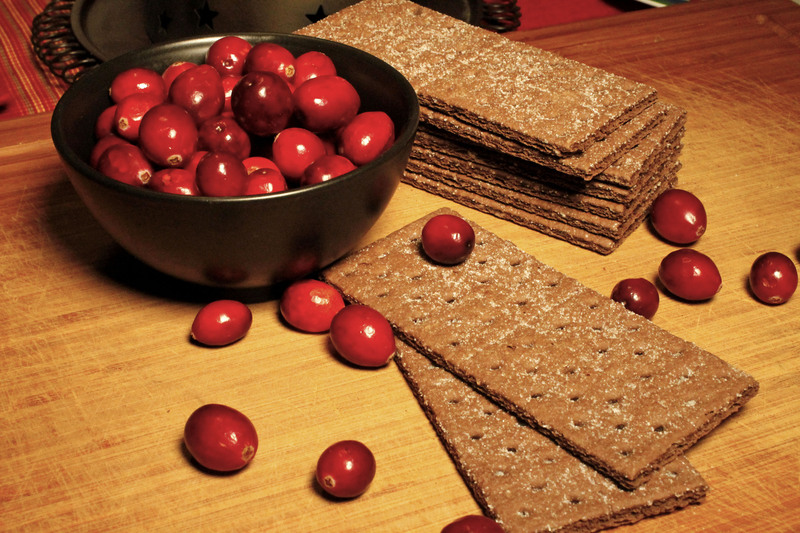 In a saucepan, bring 1/2 cup water, the remaining 2/3 cup sugar and the cranberries to a boil over medium-high heat, stirring once or twice. 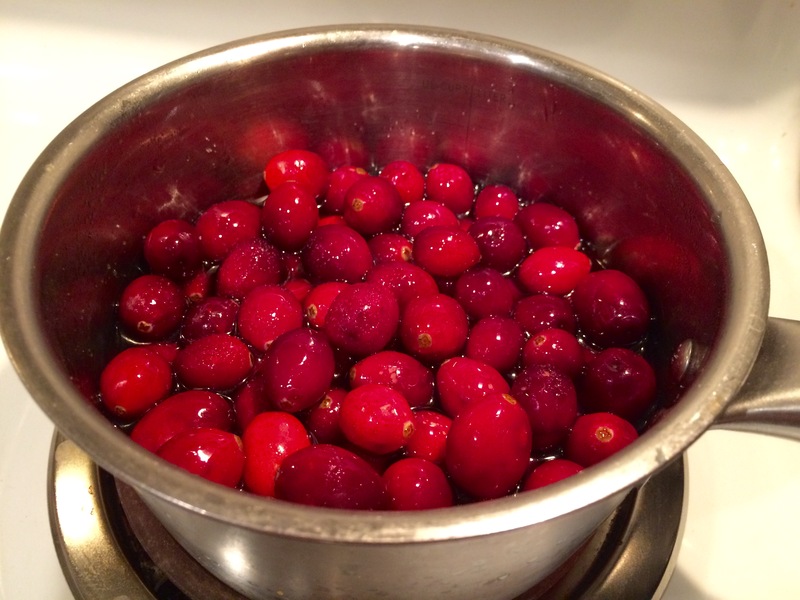 Lower the heat and simmer until the cranberries begin to pop, 2 to 3 minutes. Remove from the heat, transfer to a small bowl and stir in the orange peel. Refrigerate while the cheesecake is chilling. Holding the ends of the foil, pull the cheesecake out of the pan. Cut into 9 squares. Spoon the cranberry sauce onto the cheesecake. 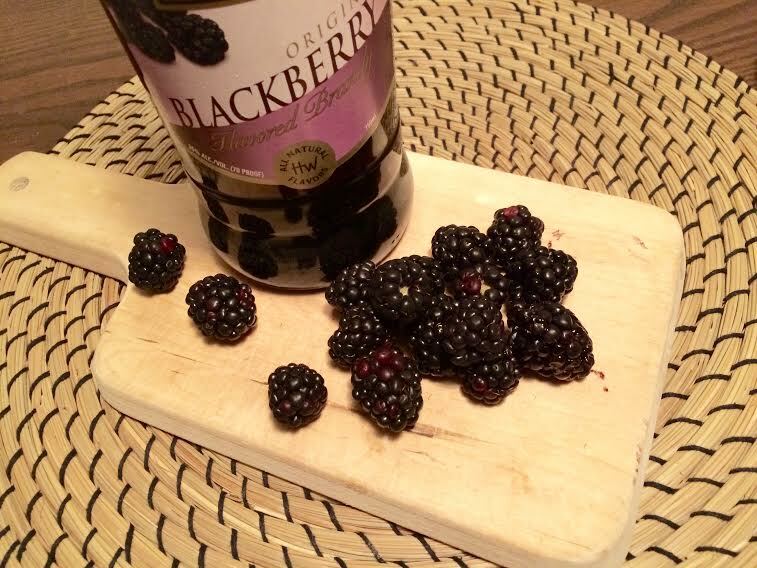 Add the blackberries to a bowl, sprinkle over the granulated sugar and blackberry liqueur and let steep 10 minutes. 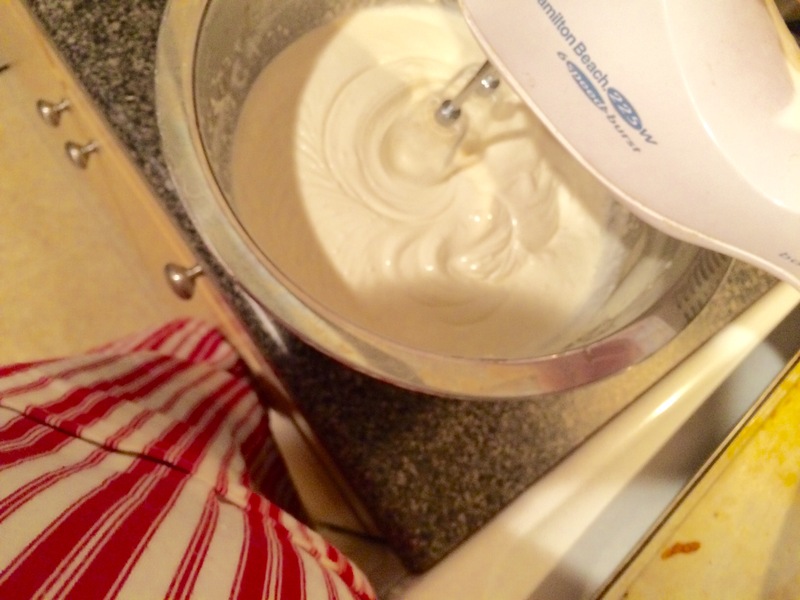 Meanwhile, add the cream and powdered sugar to the bowl of a mixer and whip to soft peaks. 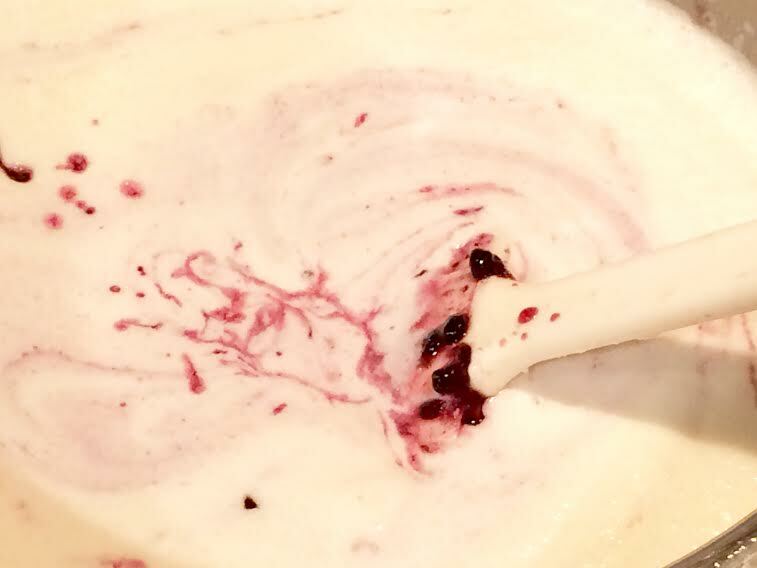 Mash the blackberries with a fork, and then fold them into the cream. Spoon the fool into individual glasses. Crush some ladyfingers on top. 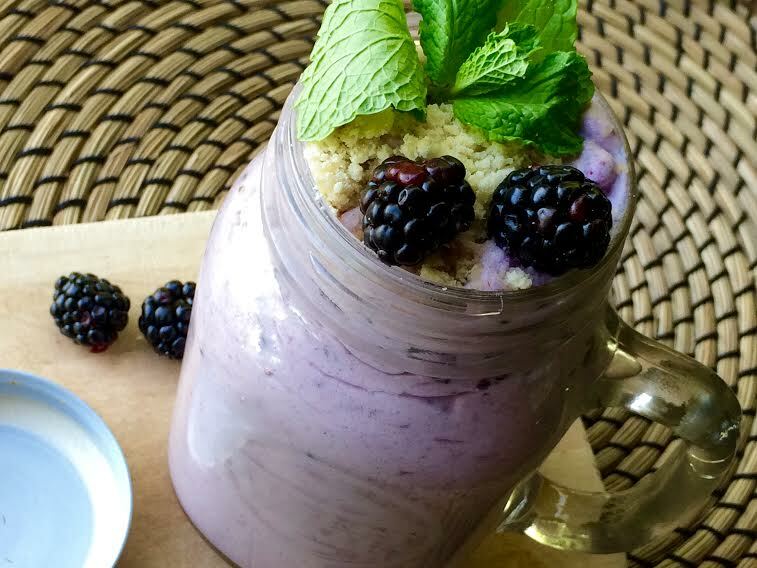 Top each with a sprig of mint and a whole blackberry! Preheat oven to 350 degrees F (175 degrees C). 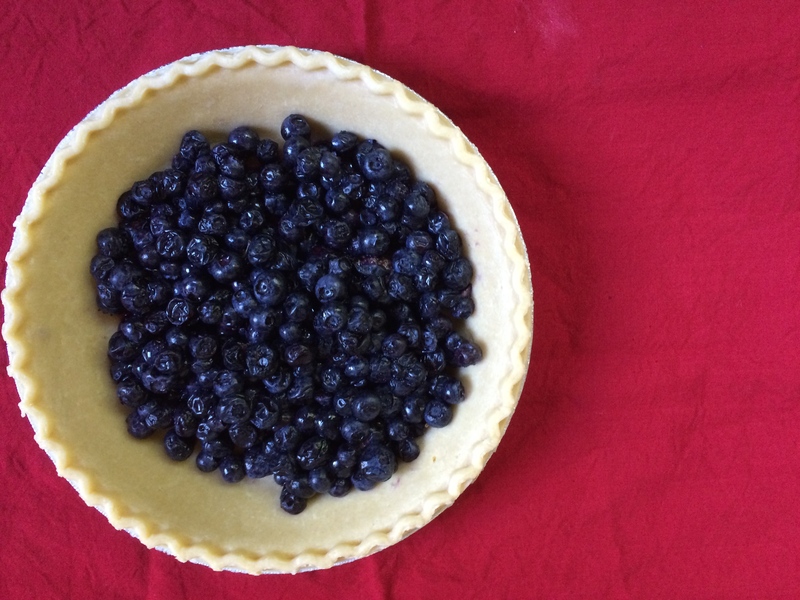 Place the blueberries in the pastry shell and set aside. Combine 1 cup sugar, 1/3 cup flour, and salt. Add eggs and sour cream, stirring until blended. Pour the sour cream custard over the blueberries. In another bowl, combine 1/2 cup sugar and 1/2 cup flour. Cut in the butter with pastry blender until the mixture resembles coarse meal. 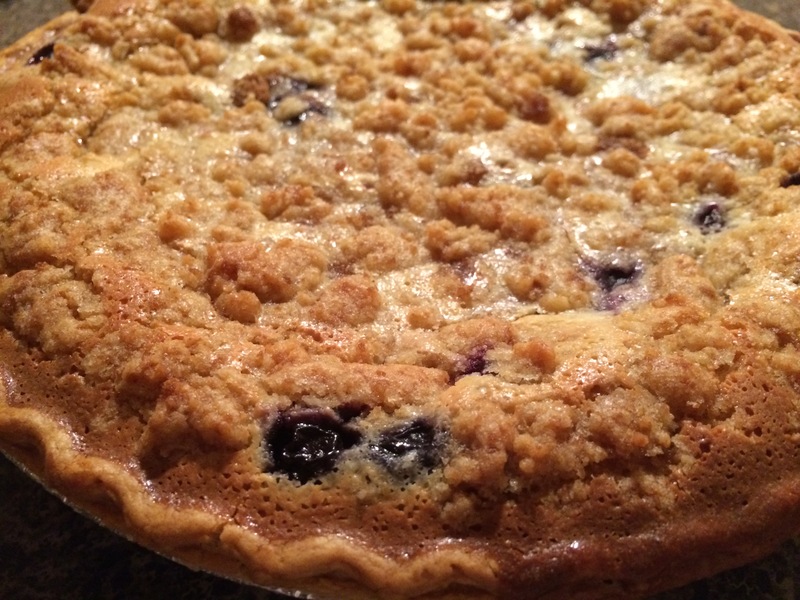 Sprinkle the topping over the sour cream mixture and berries in the pie shell. Bake in the preheated oven for 50 to 55 minutes, or until lightly browned. Cool on wire rack. Cover the pie with foil for the first 20 minutes of baking to keep the crust from browning to much. 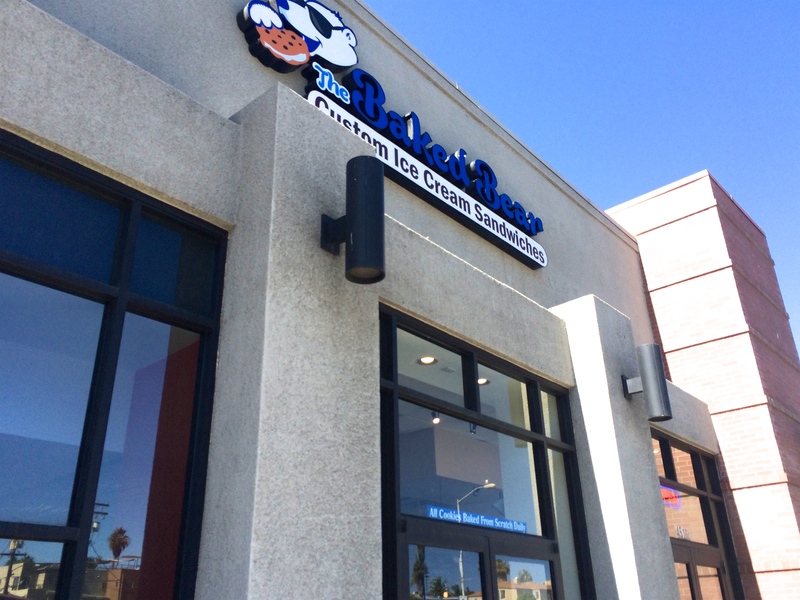 I’m in San Diego for the evening and I spot this really cool concept while walking around Pacific Beach – The Baked Bear. This place was birth in San Diego by a couple of childhood friends who left their careers to start this amazing place. 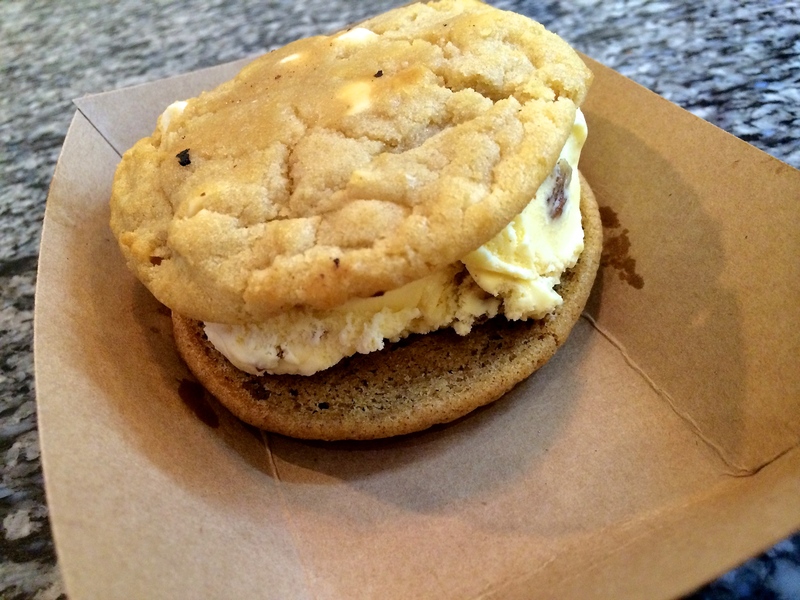 Basically they make ice cream sandwiches using original-made ice cream that is held together by two fresh-baked cookies. 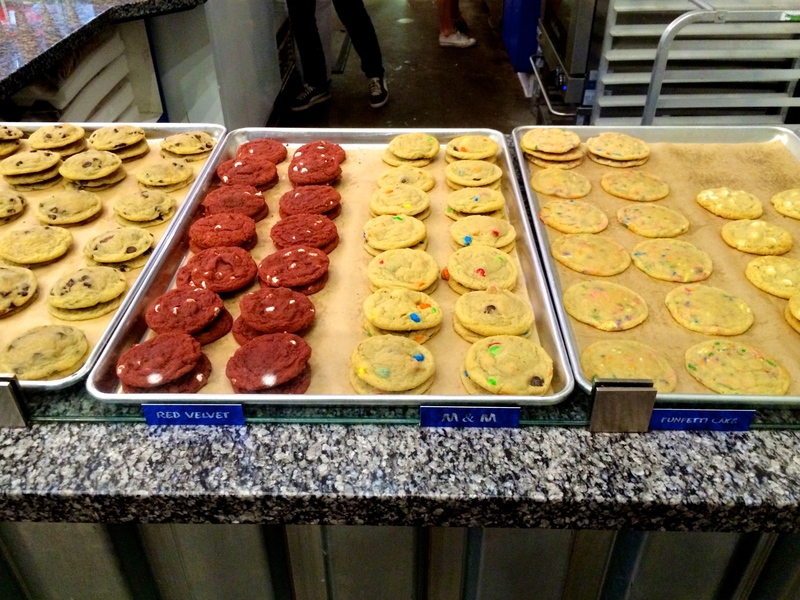 The cool thing is that you can pick any flavor ice cream and any combination of cookies that you want. I got the macadamia nut and pumpkin spice cookies with praline ice cream. It was the perfect treat for me to devour as I strolled the boardwalk along the beach. I love after holiday shopping because everything is discounted. I usually buy wrapping paper and Christmas cards for next year the day after Christmas because they are half off. For Halloween, I bought some candy and these creepy cookies and cake pops. The cookies came out great, the cake pops not-so-great. I’m sticking with cooking.